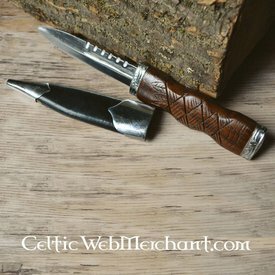 This sgian dubh has a small wooden handle. 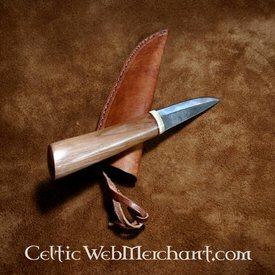 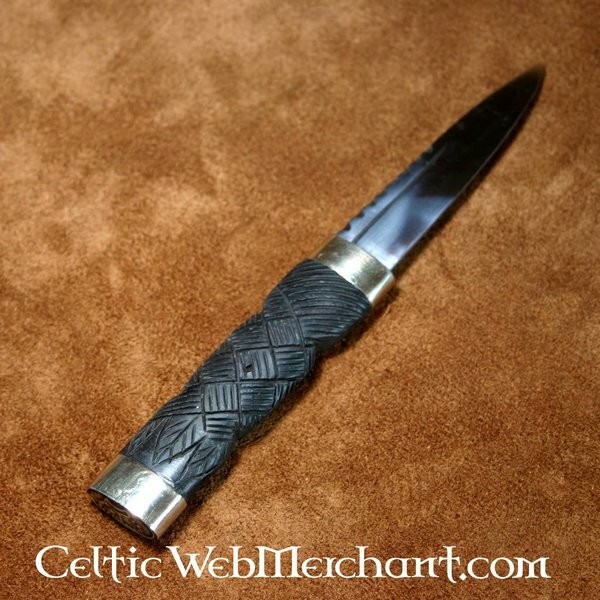 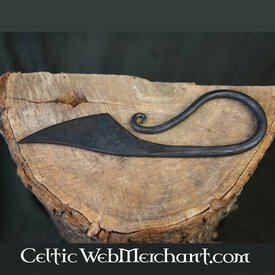 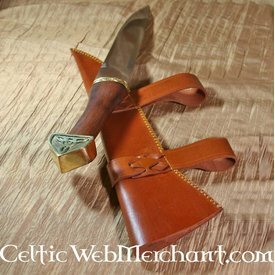 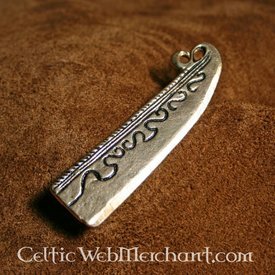 The name sgian dubh means: black knife. 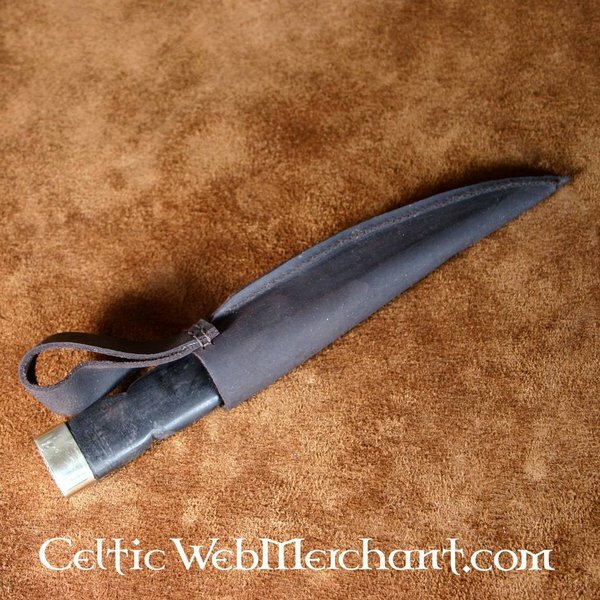 This knife was mainly worn in the sleeve during the 17th and 18th century. 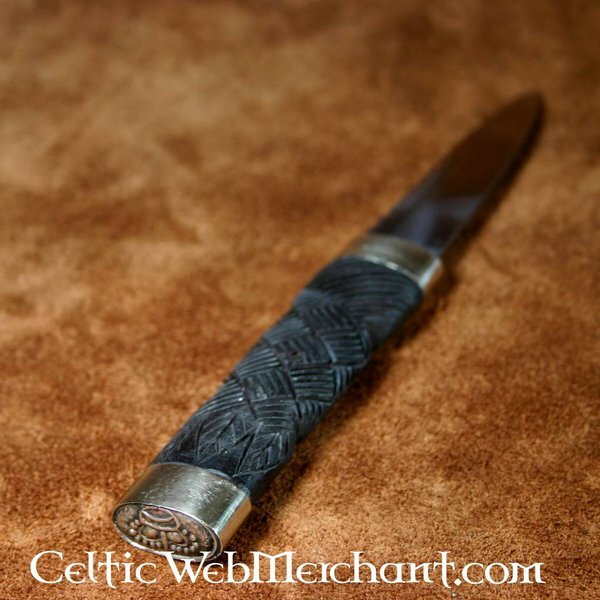 It was an old custom that when a highlander entered a house he did not bring a sword. But in case of attack or fights he hid a sgian dubh in his sock. 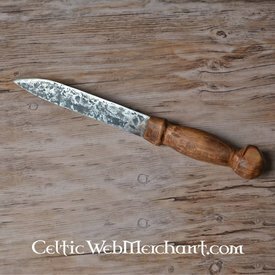 When a fight would break out in the house he could used the knife to defend himself. 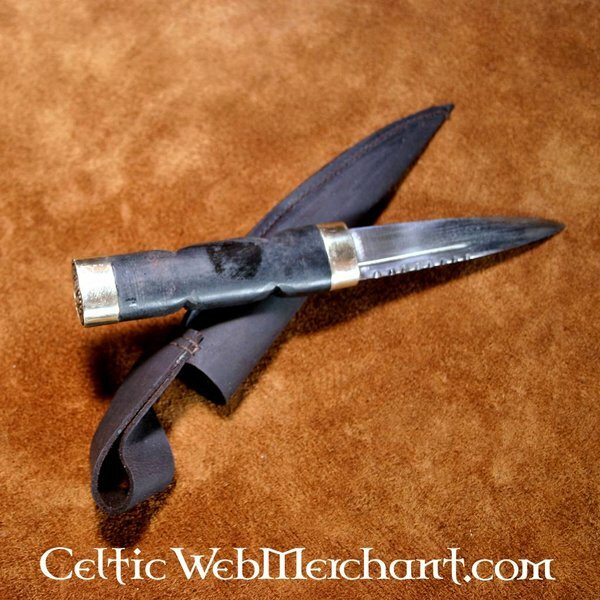 After Culloden the soldiers of the Black Watch regiment always wore this dagger in their sock. 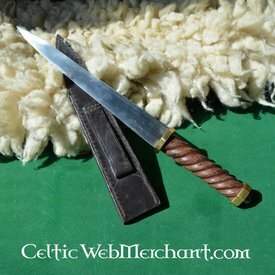 The knife has a total length of 20 cm with a blade of 10 cm.